The University of Arkansas Academy of Computer Science and Computer Engineering, or UAACSCE, is an accomplished group of Computer Science and Computer Engineering alumni who have attained outstanding success and national or international distinction in their chosen profession or life’s work, and whose accomplishments reflect commendably on or bring honor to the University of Arkansas. Welcome to the University of Arkansas Academy of Computer Science and Computer Engineering (UAACSCE)! I want to thank our first President Joe Roblee for his leadership in getting the academy established and defining organization and process. In our first year we created four committees to focus on the goals of the academy. The membership committee led the effort to identify exceptional graduates and we inducted 12 new members into the academy at the banquet in April. The scholarship committee established a plan to create the Dr. Skeith endowment to fund scholarships. The goal is to raise $25,000 dollars to establish the endowment. We are well on our way having received commitment pledges of $ 7500 to date. There is a pledge form on our website if you would like to contribute. Our Liaison committee established a relationship with the ACM chapter and communicated internships available. This committee also began development of job readiness assistance program. The Publicity committee created our new website establishing a good foundation of communication for the academy. I appreciate the efforts of all committee members in making this a great first year! This year we will be further formalizing our committees, roles and responsibilities. Look for information coming soon on how you can participate. We plan to put a lot of effort into transforming our website to be the front-end portal for our group. We would like to do payments/gifts, discussion forums, nominations with voting and add an internal member job board for new employment and hiring. We are working on a calendar of events to share with you as well. Register now for the banquet! Where: Hilton Garden Inn, 1325 North Palak Drive, Fayetteville, AR. Changed Jobs? Moved? Got a new number? 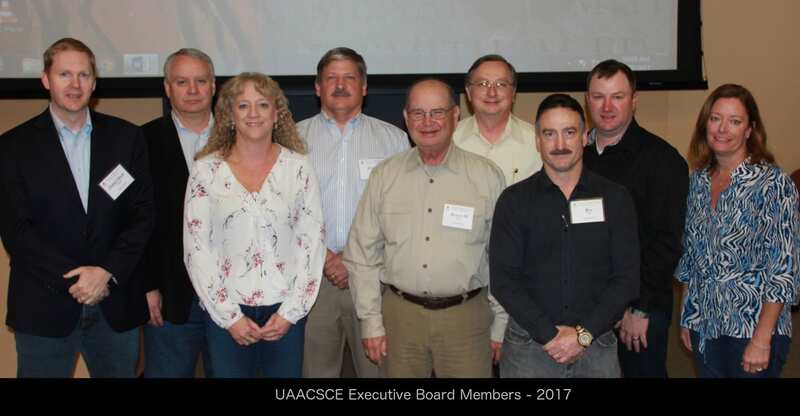 UAACSCE strives to keep our contact information up to date. Feel free to forward your new information to the Department of Computer Science and Computer Engineering and to the Alumni Association so we can keep you informed of events and activities!